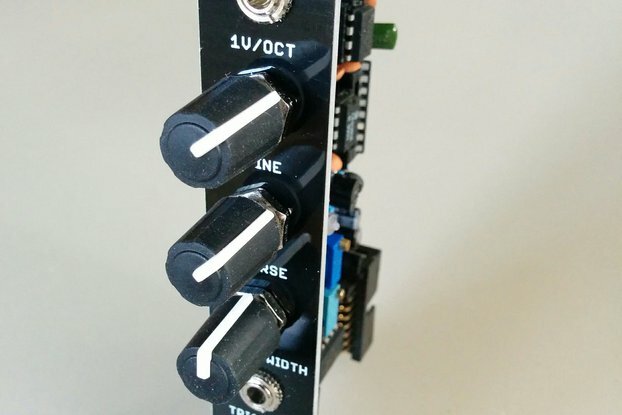 This is an advanced envelope generator for Eurorack systems. 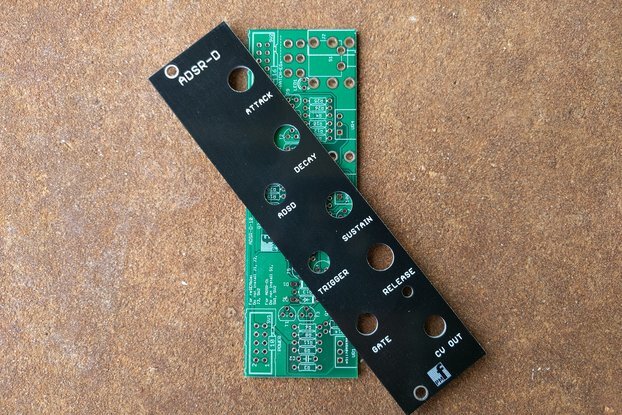 It allows voltage control of A, D, S and R, has 10 different state gates that depend on the envelope level at any particular time, linear and exponential curves, re-triggerable and self-looping. 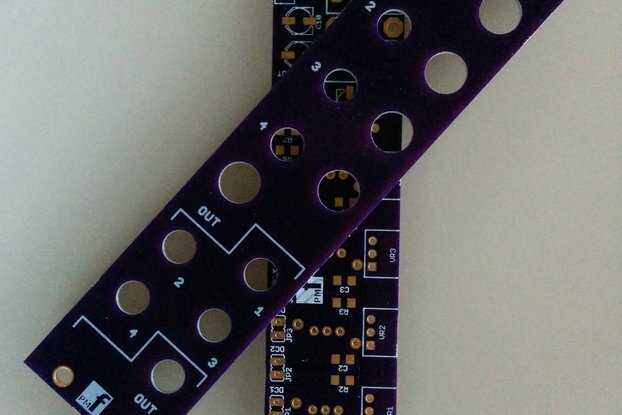 The "state" outputs will output a gate signal during a defined stage in the envelope. 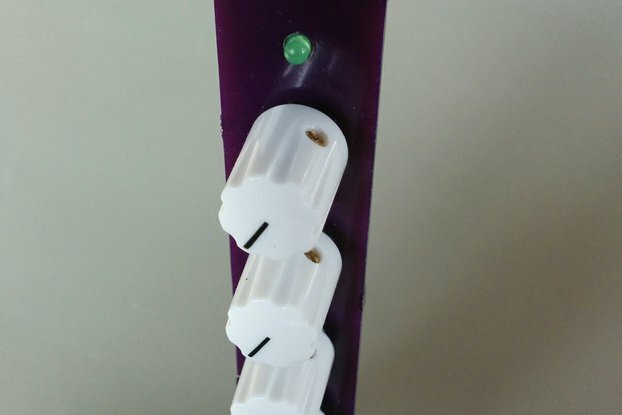 For example, the "D" state gate outputs a gate signal during the decay phase. 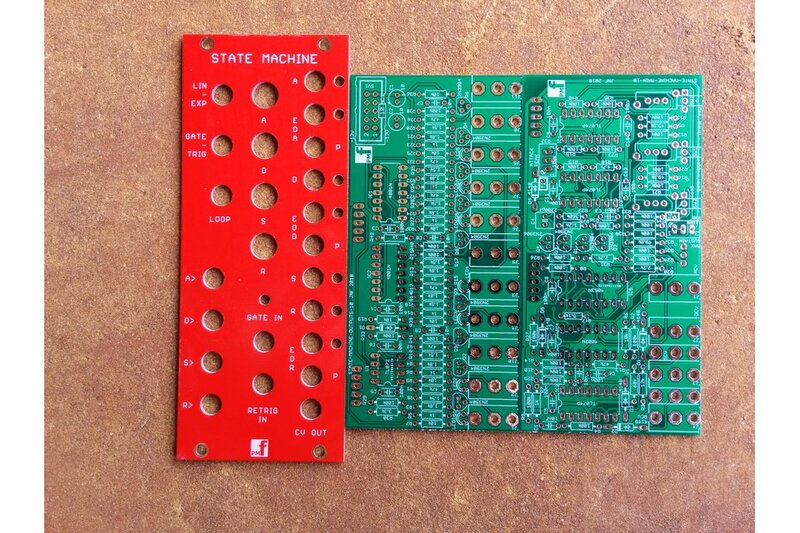 These state gates can be used to drive other modules and allow users to build complex envelopes and rhythmic patterns. 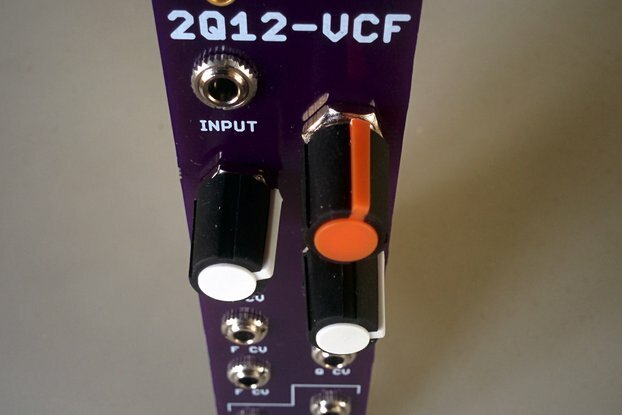 The various looping modes (patched or switched) provide the ability to cycle and also operate as an LFO. 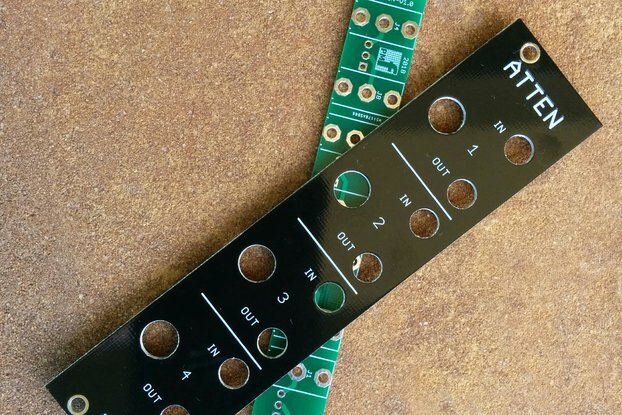 This is a PCB and Panel set only. 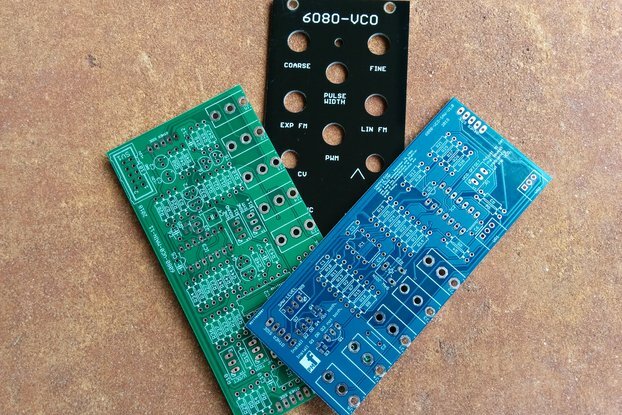 A set of 2 high quality PCBs and 1 front panel ONLY are included. 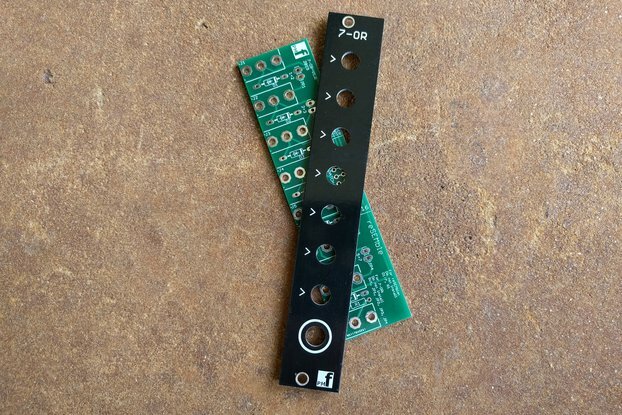 You will need to purchase your own components and build your own module. 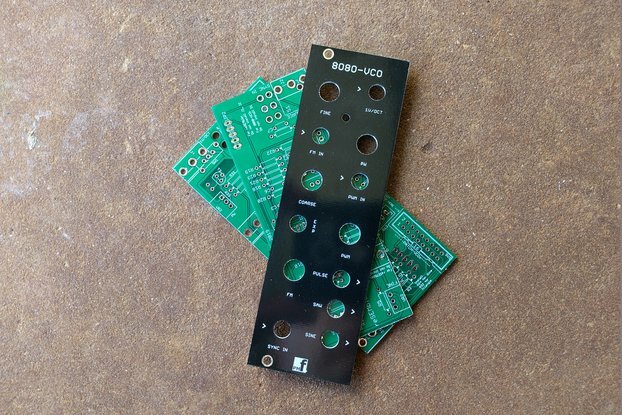 Comprehensive build instructions and BOMs are provided to help you source the components needed and we even provide links to shopping carts to simplify sourcing those components. Some product photos above show COMPLETED build. EOD - resets to 0 when rising attack signal hits sustain level, goes high at end of D.
Comprehensive documentation, parts lists are provided in the documentation link for building, testing and calibrating the module.